This entry was posted on January 17, 2014 at 10:23 pm and is filed under Fitness, Janathon 2014, Jantastic. You can follow any responses to this entry through the RSS 2.0 feed. You can leave a response, or trackback from your own site. I`m wary of the Janathon requirement to exercise every day. 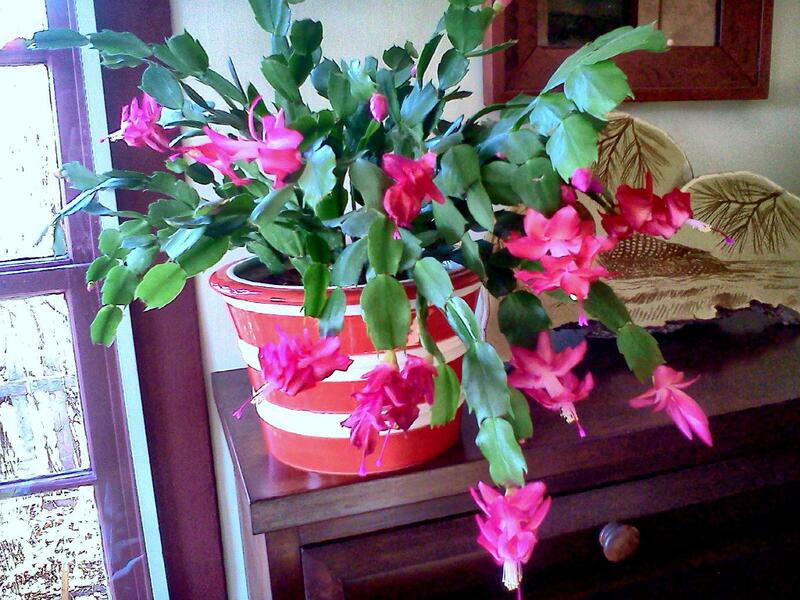 Photographing Christmas cactus is an excellent cross training activity! Or is it “hear, hear”? Oddly, the mailing thing seems unreliable–I thought you weren;t posting because I didn;t get the mailed posts. My Christmas cacti are all in flower too! :-D I missed my walk yesterday for the first time since the new year because I had a poetry and company for dinner. Hope to make it up today. Nice cactus, nasty quad. I hope the last week has improved it and that it has been less emotionally draining. Have been keeping up with Jantastic but not Janathon. My exercise has been mostly fine (running a slow-buildup plan still in effect), but I just couldn’t keep up the blogging while emotionally indisposed. I’m hoping to get back on track posting & reading in time to congratulate those who had great success this month! I hope the lack of further posts means you are resting up and not lost in a blizzard somewhere! It’s snowing here today… I shall soon be heading to that hill of mine… But I still need my fix of your snow pics.